Located amidst the faded scrapyards of Wingfield, it is hard to imagine a place further removed from the laneways of the city than Adelaide & Rural Salvage. 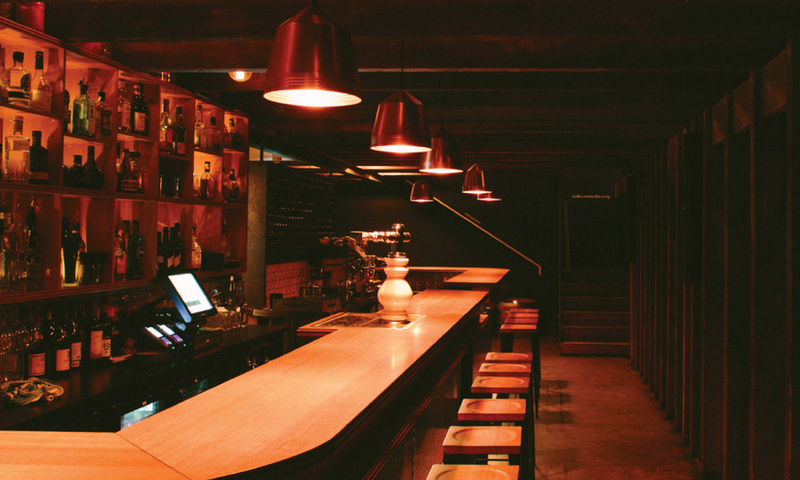 Yet, Adelaide’s small bar movement brims with so much rustic charm in large part because of this jumbled salvage yard: the venues might be new, but the materials that built them certainly aren’t. Paul does have a bit of Tony Soprano about him, minus the menace. He doesn’t need to feed his rivals to the wood chipper anyway – the introduction of the GST took out most competition years ago, leaving him as the go-to man for bar developers on the hunt for character. 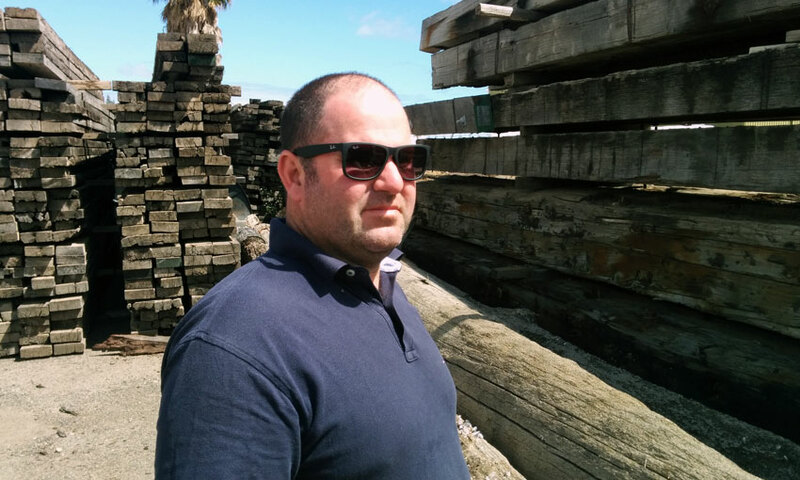 Housed within Paul’s sprawling salvage operation are towering piles of ocean-infused decking from the old Moonta jetty, stacks of hardwood coated in the iron ore residue of a Whyalla smelter, even wood ripped out of an abattoir. These sit out behind a cavernous warehouse that stocks plenty of other kinds of salvaged treasures – including kitchen interiors, steel fence posts, spiral staircases, light fixtures – items from all over the state, rescued from properties slated for demolition or refurbishment. Paul’s team carefully extract the materials, spruce them up, and sell them on, mostly to home renovators. 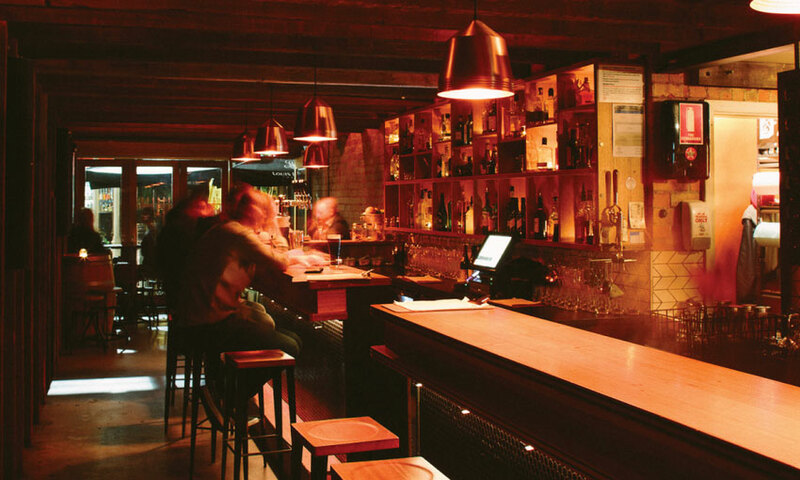 In recent years however, the surge of laneway bars and eateries have proved a lucrative new market. Clients include Udaberri, Clever Little Tailor, Peel St Restaurant and plenty of others. “They’re using up a lot of stock that wasn’t selling before, so that’s good,” Paul says. Now it is hardwood that Paul is struggling to get rid of, with the market gravitating towards timber with more defined textures. In a sales pitch that has a confident ring of authenticity to it, he claims that second-hand wood has advantages beyond an interesting backstory and a nice look. He points to the eco-friendly nature of recycling old timber, and how the material has been put through its paces. Udaberri co-proprietor Rowan Edwards is a fan. “It’s always a fun place to look around,” he says. Udaberri’s bar top is made from wood formerly used as a gym floor. The bar top of the Leigh Street establishment is an Adelaide & Rural Salvage find: American oak that in a past life was the floor of a gym. “You can still see the coloured lines from different sports they played in there,” Rowan says. According to Paul, Udaberri won’t be the only bar in town featuring gymnasium floorboards for long. “We’re doing a fit out of a new place along Austin St in the city – Austin and Austin, with flooring from the PAC gym,” he says, thrilled to have again found a new home for timber set for the scrapheap. As Adelaide’s small bar revolution continues apace, no doubt bar owners will continue dropping past Wingfield to pay their respects to the wood mafia. After all, for venues that for the most part like to spruik their sustainable approach and local character, the charm of a private school gymnasium floorboard is truly an offer too good to refuse.